If you read through this entire series, you should know everything you need to, to begin streaming live on Twitch with OBS Studio. To go live, all you have to do is click start streaming! 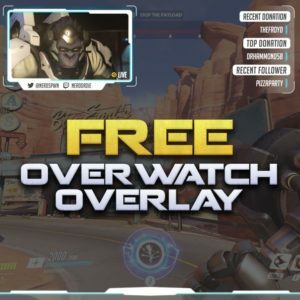 Let’s take a little bit and talk about how we can improve our stream. First, I recommend having a friend watching your stream and giving you feedback so that you can make any adjustments as needed. You’ll want to adjust things like the audio levels for your game and mic sound, lighting for your webcam, or make some small tweaks to your overlay. If you’d like, you can join the Nerd or Die discord server, and hop into our stream-checks channel – the invite link will be in the description. Feel free to tag me in a message, and if I’m available I’ll stop by and provide feedback! I’d also like to encourage anyone else in the server to help others out and give constructive criticism. The first time I streamed I couldn’t figure out why my webcam was upside down… so don’t worry if you have a couple of issues when starting out – we all have to start somewhere. If you’d like, leave your Twitch name in the comments below – I do my best to go to any of the comments and check out either the live stream or even past broadcasts and provide any feedback. Don’t forget, you can also watch your own past broadcasts to see how everything is looking and sounding. Another thing you’ll want to look for is if you’re dropping frames. You can check for this information at the bottom of OBS Studio while you’re live. Dropping frames means that parts of your stream are not being sent to the server. This will cause buffering issues for your viewers. This issue can be caused by a lot of different problems – I’ll link a helpful article from the OBS site in the description as well, but I do plan on making a full video guide covering this topic. While streaming, you can also go to your Twitch Dashboard. If you have access to a second monitor, or even a tablet, you can use this to monitor you chat messages, as well as check to see the status of your connection with Twitch. Don’t forget, if you change games, or need to update your title, you can do that here as well. Oh, and if you happen to be watching your own stream while you’re streaming – make sure it’s on mute – or your viewers will hear an echo! If you followed this guide, thank you so much for tuning in. If you found it helpful, please consider sharing it on any websites, forums, or social media. While this video is the last of the core OBS Studio series – I will be making more resources and tutorials for OBS and streaming on Twitch, so look forward to those. Let me know if there’s any topics you think we should cover in the future. Get the free graphics used in these videos. What Notification Should You Use With Twitch? I’d love some help in figuring out an issue with my Retrowave overlay. I just cannot figure out how to adjust the size of the field, as I can’t stream it in 1080p, if one of you wonderful chaps could drop by at some point and swing me a few pointers that’d be sweet. Can you send us a message through our contact us portal? We’ll be happy to help!